Method-I. From the Tools menu select Internet Options. 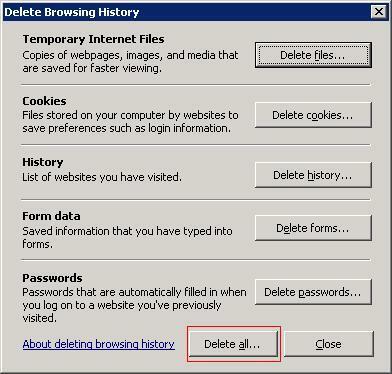 a. Click on Delete Button from the Browsing History. 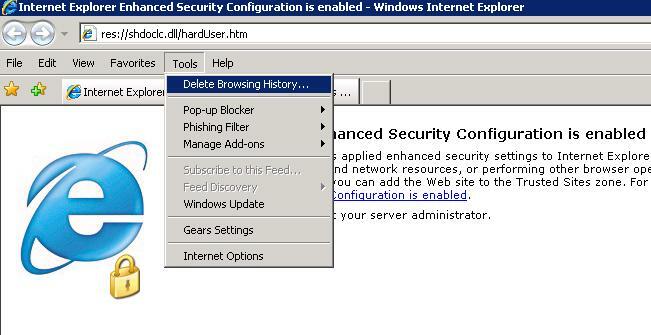 b. Click on Delete all button to clear all the history elements and click on Close button to exit. a. Click on Delete Files from the Temporary Internet Files section. b. 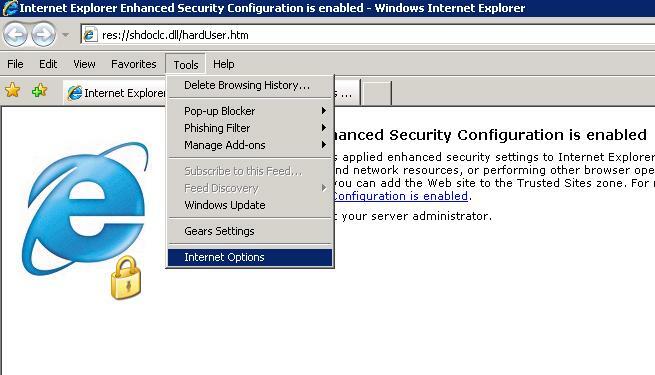 To remove the cookies, click on Delete Cookies from the Cookies section. 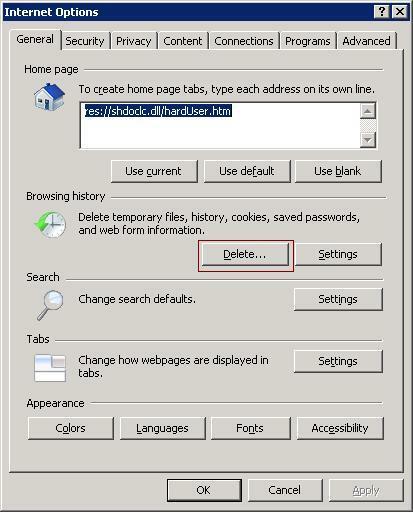 c. To remove the history, click on Delete History from the History section. d. To remove forms, click on Delete Forms from the Form Data Section. e. To remove passwords, click on Delete Passwords from the Password section. f. Click Close button to exit.